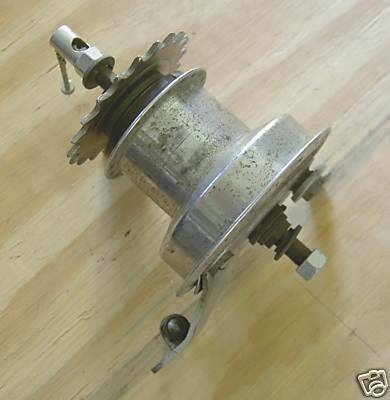 Sturmey Archer Type AB Three Speed with drum brake rear hub. The Mk.4 version of this hub was made well into the 1990's and likely beyond. Uses 3/16th" diameter bearings.